Graduating from world-renowned Melbourne Law School means that your degree will be recognised as exceptional – wherever it takes you. Hear what our students have to say about the Melbourne JD. The Melbourne JD (Juris Doctor) is a fully graduate law degree that has set a benchmark for legal education in Australia. It's taught at graduate level and available if you already have an undergraduate degree in a discipline other than law. It's also available if you have a degree in law from a different legal system. The Melbourne JD leads to admission to the legal profession in all Australian jurisdictions, and can be used as a basis for seeking admission in many overseas jurisdictions. No 1 law school in Australia and No 10 in the world (Times Higher Education World University Rankings by Subject, 2019). No 1 in Australia and No 38 in the world (Academic Ranking of World Universities, Shanghai Jiao Tong University, 2018). The JD course comprises 24 subjects, including 16 compulsory subjects required for admission to legal practice within Australia. You have the flexibility to pursue particular areas of interest through elective subject selection. Offering more than 45 electives each year, the JD program continually evolves to reflect current developments in law and legal practice. You also have the opportunity to undertake an elective from the Melbourne Law Masters, where you will share a classroom with practitioners from Australia's premier organisations and institutions, in special interest areas such as international and human rights law. If you are a student at an international law school, you can study away from your home institution. Melbourne JD students are highly motivated and committed, with diverse educational backgrounds, experiences and perspectives. They are an important part of Melbourne Law School's vibrant intellectual community. Be part of a tight-knit cohort of graduate students and build a network of Melbourne Law School alumni, mentors and teachers. The Law School has several student groups who run social activities, career networks, tutorials and competitions. Choose from a range of study abroad options or tailor your JD studies to focus on global legal practice. Enrol in one of Melbourne Law School’s internationally-taught elective subjects, or immerse yourself in another culture while studying a semester abroad. You may be eligible to pursue an additional degree through our partnerships with many world-famous universities overseas, including: the University of Cambridge, the University of Oxford, New York University and the National University of Singapore. Choose from a growing suite of elective subjects that focus on disruption in the law and develop the technical skills to navigate the complex ethical, legal and social implications of new technologies. Take part in an internship to help build your career prospects and develop experience working in a range of environments. Work with real clients to solve real legal problems through Melbourne Law School’s Public Interest Law Initiative. This range of clinical subjects allows you to hone your legal skills while providing the community with much-needed resources for public interest law causes. Melbourne Law School’s mentor program provides one-on-one guidance from an experienced legal professional working in your individual area of interest. Australian citizens, permanent residents of Australia and New Zealand citizens are automatically considered for a CSP when they submit their application for the Melbourne JD. Melbourne Law School awards a substantial number of CSPs with a minimum of 20% awarded on access and equity grounds under the Graduate Access Melbourne program. The remaining CSPs are awarded based on academic achievement. Australian citizens are eligible for HECS-HELP, a loan scheme which allows payments to be deferred. If using HECS-HELP, upfront payments are optional. Australian citizens are eligible for FEE-HELP, a loan scheme which allows most of the course payment costs to be deferred. Please note, there is currently a gap between the amount you can access through FEE-HELP and the cost of the Melbourne JD. If using FEE-HELP, approximately $19,3102 to pay throughout degree. The JD Bursary provides a student with fee relief to assist with the gap between the full cost of the course and the amount that can be deferred to the FEE-HELP Government Loan Scheme. Bursaries are awarded based on financial need, academic achievement or a combination of both. If you have not previously used FEE-HELP, the JD Bursary is expected to be largely sufficient to cover the gap between the full cost of JD and the amount that can be deferred to FEE-HELP. In that situation, upfront payments are optional. 1Based on an expected 1.5% increase each year on the 2019 CSP student contribution amounts. 2Based on an expected 1.5% increase each year on the FEE-HELP limit. If you are enrolled in a Commonwealth Supported Place for your graduate course, your tuition fees are subsidised by the Australian Government. You’ll pay a student contribution amount – with the amount determined each year by the Australian Government – based on the subjects you take not the overall course you are studying. The number of Commonwealth Supported Places available is reviewed annually by the University. Payment of your student contribution amount can be made when you enrol (upfront), or can be deferred through HECS-HELP if you’re eligible. The Government’s Study Assist website provides more information about Commonwealth Supported Places and HECS-HELP. If you are enrolled in a Commonwealth Supported Place (CSP), you will be required to pay a Student Services and Amenities Fee (SSAF), which in 2018 was $298 for full-time students and $223 for part-time students. SA-HELP, a government funded loan scheme, is available to help eligible students pay all or part of their SSAF. You’ll pay tuition fees for each year that you are enrolled. Tuition fees are calculated according to your course and study load each semester. You may defer payment of your fees via FEE-HELP if you are eligible. FEE-HELP is a loan scheme that helps eligible Australian fee-paying students (full-time or part-time) pay their graduate tuition fees. FEE-HELP can cover all or part of your tuition fees. The Australian Government pays the amount of the loan direct to the University. You’ll make repayments on your loan through the Australian Taxation Office (ATO) whenever your income is above the threshold, or you can make voluntary repayment to ATO at any time. FEE-HELP is not means tested and there is no loan fee for graduate study. If you already have a HECS-HELP loan from your undergraduate studies, you can still access a FEE-HELP loan. No interest is charged on your FEE-HELP loan, however, it is indexed each year with the Consumer Price Index (CPI) in line with the cost of living. You can enhance your opportunity for selection and be considered for a bursary by applying for the University’s Graduate Access Melbourne scheme. The University's Student Financial Aid Service can provide you with advice and information on: student loans and bursaries/grants, government student assistance, including Austudy, Abstudy or Youth Allowance, cost of living advice, budgeting and tax advice. To comply with student visa requirements set by the Australian Department of Home Affairs, international students must arrange visa-length Overseas Student Health Cover, which you must maintain while studying in Australia. You are usually required to arrange and purchase this at the same time as accepting your course offer. The University can arrange visa-length OSHC on your behalf with Bupa, the University’s preferred OSHC provider. 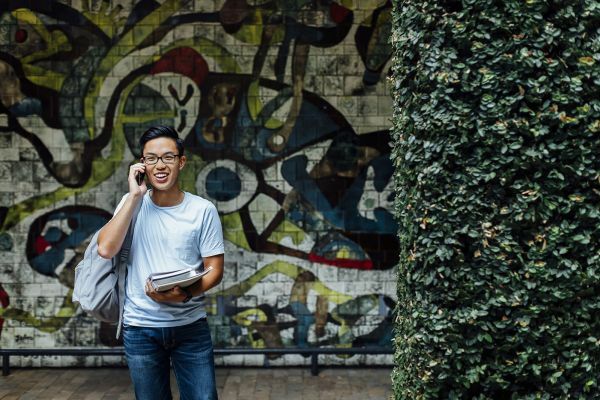 There are a number of options available to help Melbourne JD students finance their studies, including scholarships, financial aid programs and loan schemes such as FEE-HELP and HECS-HELP. Melbourne Law School offers a range of bursaries and scholarships that recognise outstanding academic achievement and provide support to students in financial need. From 1 July 2019, revised repayment income thresholds under the Higher Education Loan Program (HELP) will apply. The new minimum threshold is $45,881 with a 1 per cent repayment rate and a maximum threshold of $134,573 with a 10 per cent repayment rate. The minimum threshold for the 2018/19 income year is $51,957. From 1 January 2020, a combined renewable lifetime limit will apply for all tuition fee assistance under HECS-HELP, FEE-HELP, VET FEE-HELP and VET Student Loans of $104,440 for most students and $150,000 for students undertaking medicine, dentistry and veterinary science courses. The combined limit will only include HECS-HELP debts incurred from 1 January 2020. Any historical HECS-HELP lending for study prior to this date will not count towards the combined limit. It is important to note that the new lending limits will not apply immediately and not all students will be affected. The University is exploring ways to assist students who may be affected by the loan limits in the future, including through scholarships and bursaries. Further information on Study Assist FEE-HELP. Strict application deadlines apply and there is no mid-year intake. Applicants applying through General Entry are required to have a valid Law School Admission Test (LSAT) score (undertaken within the last five years). You can submit your application once you have registered for an LSAT and have an LSAT account number. Applicants can apply anytime throughout the year and applications will be assessed after your LSAT score is released. There are four LSAT sittings offered each year and the October 2019 LSAT is the last test you can sit to be considered for the 2020 intake. Please register early to avoid disappointment. Registrations for the October LSAT will open by mid May and close mid August. Sign up for the JD Future Law Newsletter for updates. Applications will be assessed between March and November 2019. Applicants will be notified of an outcome within four to six weeks provided they submit a complete application and have a valid LSAT score. Notification of fee type for domestic students will be sent via email by 30 November. We will notify you of your outcome via the email address listed on your application. Please add law-admissions@unimelb.edu.au to your safe senders list to ensure any correspondence from us arrives in your inbox. International students need to be in the country in time to attend an International Welcome event a day prior to Orientation. Register and sit the Law School Admission Test (LSAT) for General Entry. Provide your eight digit LSAC account number (eg L12345678) on your online JD application. This number will be used to retrieve your LSAT report. Please also provide a copy of your email from LSAC that you have either sat the test or are registered for an upcoming test. Find out if you're eligible for Graduate Access Melbourne (GAM). Applicants should prepare their GAM applications as early as possible as GAM applications and all supporting documentation must be uploaded at the same time as their JD application. If you are able to explain how your circumstances have disadvantaged you in your tertiary studies and provide relevant or official documentation to back up your claim, it will give more weight to your application. Apply for Advanced Standing (Credit) if eligible. Domestic applicants must be an Australian or New Zealand citizen or Australian permanent resident, or holder of a permanent humanitarian visa. When you complete and submit your application online, please select only one Fee type (CSP or FEE). All domestic applications are assessed for a CSP, Fee+Bursary, and Fee place regardless of the category you apply under. International applications are made directly to the University of Melbourne or through one of our Overseas Representatives. Note that while a fee will apply to sit the LSAT, no additional $100 University application assessment fee is required for Melbourne JD applicants. Even if you are registered with the Law School Admission Council's LSDAS or Credential Assembly service, you still need to lodge an online application with us. Please include an addendum with your name and LSAC account number at the top and a list of documents you would like us to download as part of your application for the Melbourne JD. You will also need to arrange for LSAC to release these documents to us once we have submitted a request for your report. Applicants can update their application after receiving an outcome should they wish to be reconsidered for a place if unsuccessful.